Musical will have been performed 150 times on Broadway. NEW YORK — Sing Out, Louise! 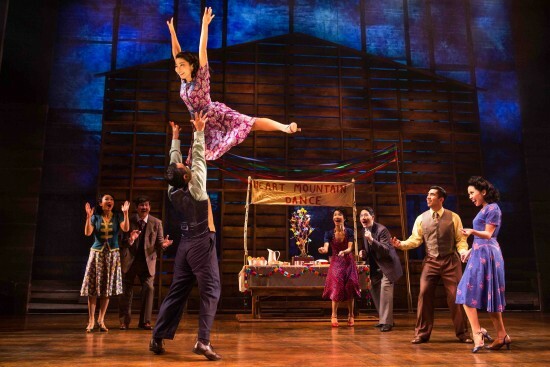 Productions and ATA have announced that “Allegiance,” a new musical about the internment of Japanese Americans during World War II, will play its final performance on Broadway on Sunday, Feb. 14. Previews began at the Longacre Theatre, 220 W. 48th St., on Oct. 6, and the production officially opened on Nov. 8. At the time of its closing, it will have played 37 previews and 113 regular performances. Producers also announced that a national tour and international productions are in the works. “Allegiance” had its world premiere in a record-breaking engagement at the Old Globe Theatre in San Diego in 2012. Actor and activist George Takei, the star of the show, posted the following message Thursday on Facebook: “This has been an amazing experience, both for the audiences who have come to see us, and for myself personally. It has long been a dream of mine to tell the story of what happened to my family and 120,000 others of Japanese descent during World War II, so that the mistakes of the past are neither forgotten nor ever, ever repeated. “While we would have liked to have run longer, I am deeply thankful that we have been able to tell our story before so many people already. In fact, it is likely that by the end of our run, 120,000 audience members will have come to see our show — one for each person who was unjustly incarcerated in America’s internment camps. And our intrepid producers already are considering the future of our show, so that even more people can be touched by it. Our story, and our mission, will continue. “I encourage everyone who can to come see us in the remaining six weeks of our run. Those who do come are forever changed by the powerful story and the incomparable performances of my fellow cast members. And stay tuned for some big news tomorrow, when we announce a program that will allow students an opportunity to see our show and become part of our story. 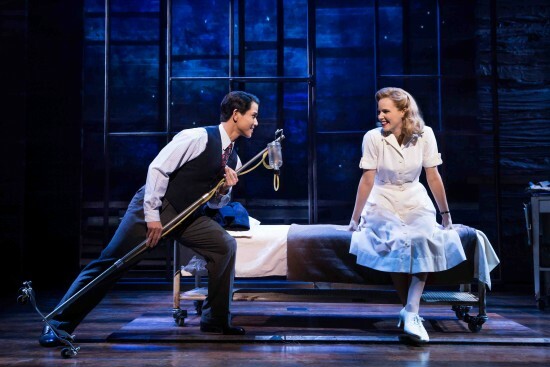 The producers said in a statement: “Bringing ‘Allegiance’ to Broadway was not only a labor of love for our entire creative team and this company of extraordinary artists, but it was also a work with deep commitment to social relevance and impact. 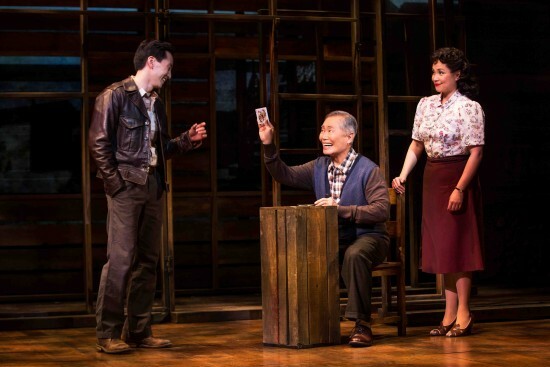 We are so proud to have brought George Takei’s very personal family history to the stage and – in the process – to have surfaced a chapter of history that was painfully unknown to so many. “By its last performance, ‘Allegiance’ will have been seen on Broadway by approximately 120,000 people, a number that eerily echoes the number of Japanese Americans who were directly impacted by the events that inspired our musical, and whose rights were trampled in the name of pure fear and intolerance. “We look forward to continuing to share this essential story — more relevant than ever, given today’s headlines — and this moving score with theatergoers across the country and around the world for many years to come. It was also recently announced that “Allegiance” has been preserved with a Broadway cast recording produced by Lynne Shankel and Joel Moss and distributed by Broadway Record /Yellow Sound. The album is scheduled to be released worldwide on Feb. 5. “Allegiance” stars Tony and Olivier winner Lea Salonga (“Miss Saigon,” “Les Miserables”) as Kei Kimura in her long-awaited return to Broadway, joined by “Star Trek” icon Takei as Sam Kimura and Ojii-chan, and Broadway and “Glee” star Telly Leung as Sammy Kimura. It features a book by Marc Acito, Jay Kuo, and Lorenzo Thione with music and lyrics by Kuo. Olivier Award nominee Stafford Arima directs, in his Broadway debut. Andrew Palermo serves as choreographer. The cast also includes Katie Rose Clarke as Hannah Campbell; Michael K. Lee as Frankie Suzuki; Christópheren Nomura as Tatsuo Kimura; and Greg Watanabe as Mike Masaoka. The ensemble features Aaron J. Albano, Belinda Allyn, Marcus Choi, Janelle Toyomi Dote, Dan Horn, Owen Johnston II, Darren Lee, Kevin Munhall, Manna Nichols, Rumi Oyama, Shea Renne, Catherine Ricafort, Momoko Sugai, Sam Tanabe, Elena Wang, Scott Watanabe and Tony Award winner Scott Wise. “Allegiance” illuminates one of American history’s lesser-known chapters as it tells the story of veteran Sam Kimura, transported back nearly six decades to when his younger self and his sister Kei fought to stay connected to their heritage, their family, and themselves after Japanese Americans were wrongfully imprisoned. The musical explores the ties that bind us, the struggle to persevere, and the overwhelming power of forgiveness and, most especially, love. For more information, visit www.allegiancemusical.com.